Starting a family is an exciting, but nerve-wracking time for many people. You can’t plan for everything the future might bring, but there are some things you can control – like purchasing private health insurance. Obstetrics cover is part of some levels of private hospital cover, and includes pregnancy and birth-related services. It does not automatically include cover for reproductive services. Obstetrics cover has a 12 month waiting period, so you must hold it for at least 12 months prior to your baby’s birth. Private health insurance gives you access to the hospital you want, an obstetrician of your choice, flexible appointment times, and a private room for your baby’s birth. 1 What is Obstetrics Cover? 2 Why Do I Need Obstetrics Cover? 4 What is Covered by Obstetrics Cover? 5 What About Reproductive Services? People often use the term ‘pregnancy cover’ when what we really mean is ‘obstetrics cover’. Obstetrics cover can be part of your private hospital insurance, and includes pregnancy and birth-related services. 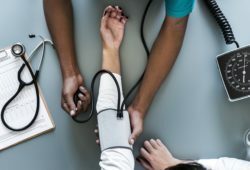 However, it’s important to note that obstetrics cover is not standardised, so what’s covered may vary between insurers and even between policies. Why Do I Need Obstetrics Cover? 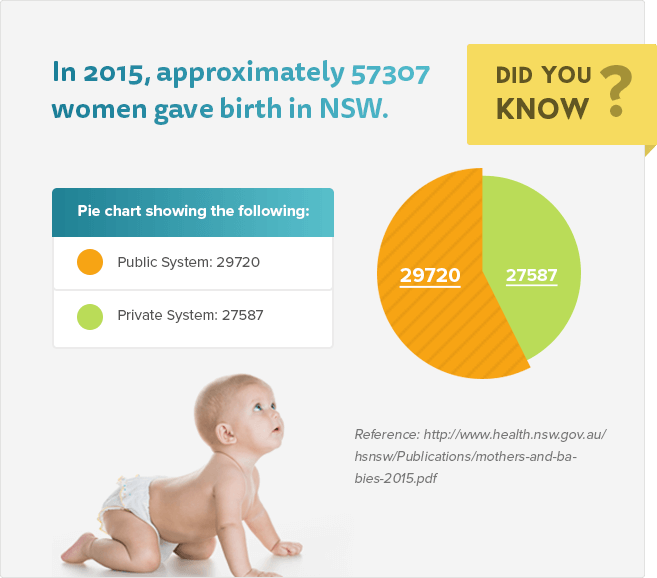 Women in Australia have the option of going through the private or public system when having a baby. At first glance, a cost-conscious consumer may assume that the public system is best, but having a baby is an emotional experience. Although Medicare covers in-hospital costs at a public hospital, it cannot extend the same choices to you that obstetrics cover can. For many women, especially first-time mothers, the comfort of having a private room when giving birth is invaluable. Obstetrics cover lets you receive treatment from an obstetrician of your choice, as opposed to being treated by the doctor who happens to be on duty. Rather than being limited to the public hospital, private health cover gives you access to private hospitals, where you’ll find more flexibility when scheduling appointment times. Waiting periods are extremely important when purchasing private health insurance for your pregnancy. Obstetrics cover comes with a 12 month waiting period, which means that you need to have your insurance in place at least three months before you fall pregnant. If your baby is born prematurely, it may mean that you don’t meet the 12 month requirement. Some policies count back 12 months from your baby’s due date, while others count from the day your baby is born. Research a policy’s terms and conditions prior to choosing to confirm they suit your needs. If you suspect that you may need cover for fertility treatment, it’s a good idea to purchase it at the same time. Not all obstetrics cover includes fertility treatment like IVF, so if you think you’ll need it plan accordingly as fertility treatment typically has its own 12 month waiting period. Some policies only offer restricted benefits for up to three years. What is Covered by Obstetrics Cover? Assisted reproductive services like IVF are an added level of coverage that don’t come with obstetrics cover by default. There is generally a 12 month waiting period on these services. You will generally need to have been trying to conceive for a minimum of 12 months to be eligible for infertility services cover. Your private hospital insurance can only cover treatments incurred as a hospital in-patient. 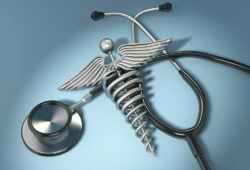 This includes hospital accommodation and theatre fees, as well as part of the doctor’s fees. In-patient IVF treatments include egg collection and, sometimes, embryo transfer. 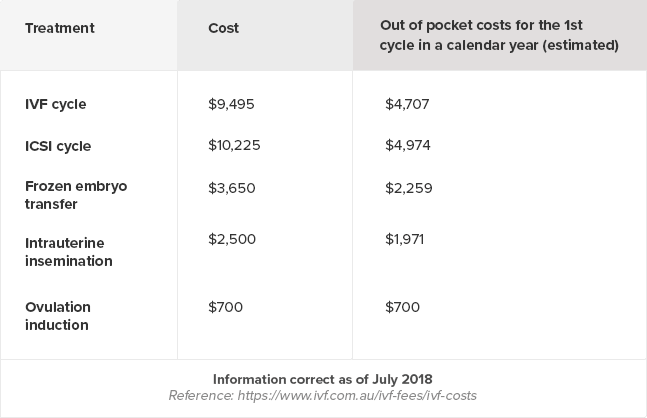 While Medicare does cover some expenses for reproductive services, private health insurance can further reduce costs by covering day hospital expenses for IVF. These costs are around $2000 for specialist day hospital care. Always be sure to confirm exactly what you’re covered for with your fund. Many people prefer to have combined hospital and extras cover, and this can be a beneficial move during pregnancy. 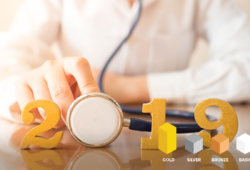 Although the bulk of your inpatient treatments are covered under the obstetrics component of your hospital policy (assuming you have this feature within your policy), extras cover can work alongside it to make your day-to-day life more comfortable. Extras cover may include pre and post-natal classes, which can cover breastfeeding and birth. It typically includes visits to a chiropractor, physiotherapist and mental health specialist, all of whom can be very helpful both during and after your pregnancy. Pregnancy can have a profound effect on your brain and body, so you may wish to visit health professionals to assist with managing these changes. As you approach your final trimester, there’s one more aspect of private health insurance to consider: getting your baby covered. Pregnancy cover is not designed to cover your baby after he or she is born. In order to do that, you’ll need to transition to a family policy. Some hospital policies may cover dependent children as part of the policy, which means your baby will be covered until a certain age. In most cases however, you will need to upgrade to a family policy before your baby is born. The majority of funds require you to do this one to three months before the birth, while some may implement a 12 month waiting policy on your baby. This is particularly important if there are complications following the birth and your baby needs to be admitted to hospital. Always check the Product Disclosure Statement (PDS) for your policy so you are fully aware of how the coverage applies to both you and your infant. Pregnancy cover can vary widely between insurers and policies, from the quality of the coverage to what is actually covered. At first glance it may seem overwhelming; how will you ever find time to sift through all of those policies to find the right one? Fortunately, shopping around for pregnancy cover is not as complicated as it may sound. By comparing a few providers online, you can quickly see which ones rise above the rest. Choosing cover isn’t just about getting a good price; it’s about getting the value you’re looking for. I live in the Gold Coast but I’m originally from Argentina (South America). I am pregnant (14 weeks) and I will travel home from week 17 to week 24. I have Medicare here and I will give birth in the public system, but I would like to have a Travel Insurance for Pregnant Woman, to be covered up to week 24 inclusive. Can you send me information with options and values? Thanks! Unfortunately we don’t offer travel insurance.